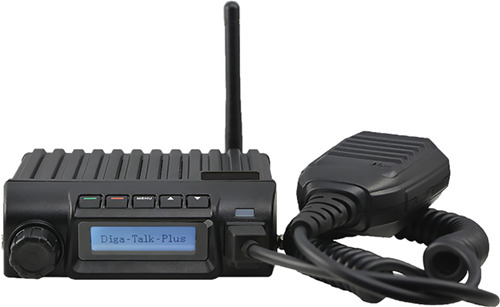 Diga-Talk Plus is the new, national coverage, Push-to-Talk radio, with virtually unlimited coverage area. Advantages are low cost reliable equipment, very affordable monthly service rates, Group and Private call capabilities, call alert, recording, and digitally encrypted communications. GPS tracking with breadcrumb trails is available, and dispatching software allows call recording as well as fleet location monitoring. Contact Marty for a free demo at marty@abeep.com, or 815-341-9631! Features include low cost, instant connect, alerting and SOS feature, call recording and play-back on device, presence, Group and Private modes, Supervisor interrupt. 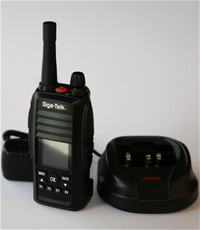 Mobile radio also available, as is a Base station. Dispatch software (PC) includes call recording and playback, Group monitoring and scan, GPS tracking with breadcrumb trails, GEO-fencing, lone worker, custom Group set-up.